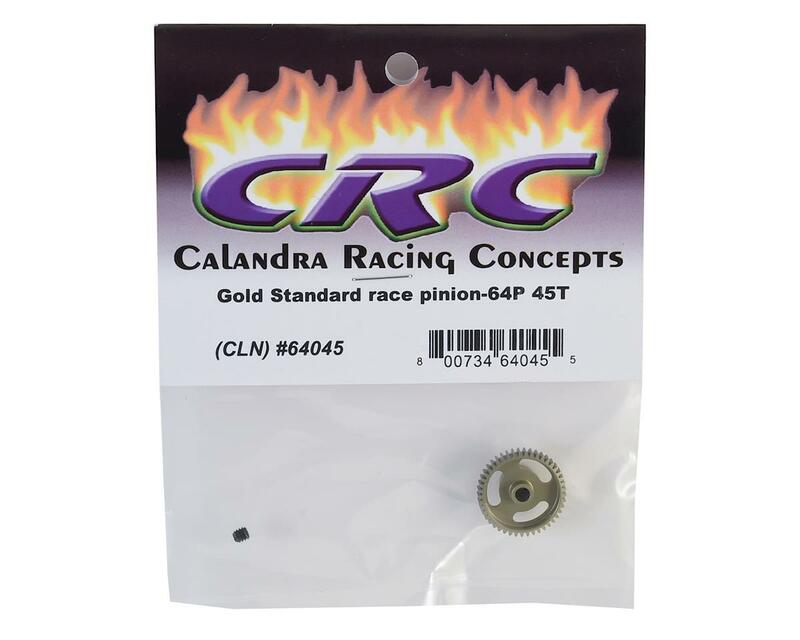 CRC "Gold Standard" 64P Aluminum Pinion Gears are super lightweight, true and precision CNC machined in 7075 aluminum, then hard-coat anodized. All unnecessary material has been removed in an effort to produce the lightest pinion available. The face is undercut all the way out to the teeth diameter. Then on the larger pinions, the undercut face is scalloped in a triangle design to remove even more material. 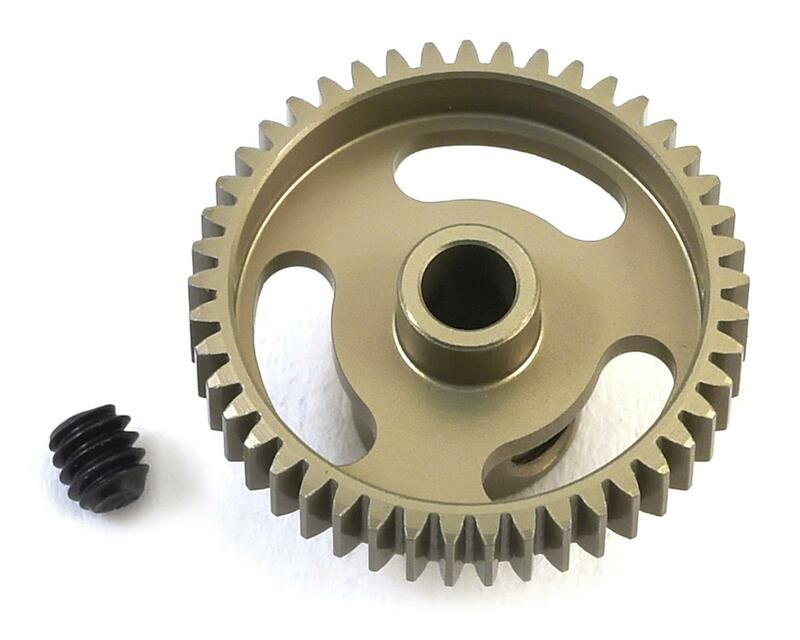 Complete with a 5-40 UNC set screw (1/16 inch wrench), each gear has the tooth number laser etched on the barrel, and the gears are available in a variety of tooth count options. Please choose from the pull down menu above.